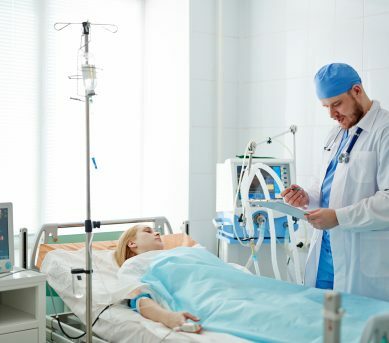 Issues of quietness, confidentiality and privacy can be crucial to the successful operation and performance of Health and Emergency facilities – because patient confidentiality and good rest and relaxation conditions are essential. Controlling the balance between quietness and privacy necessitates careful control of sound transmissions through buildings as well as reduction of internal noise, noise breakout and the ingress of external noise. Intrusive noise from external sources and from hospital plant has to be mitigated and sound transmission and room acoustics within buildings controlled to provide not only comfortable conditions for those working in them but also quietness conditions for the rest and sleep that patients require. CSP Acoustics has long experience of dealing with such issues having worked on a variety of health, hospital and other projects providing the acoustic conditions required. The company also has considerable experience of identifying the causes of privacy problems within existing buildings, where failures of sound insulation have led to a need for remedial action, and of making appropriate and cost effective recommendations to resolve these issues. The impact of external noise on Health and Emergency services projects or of project generated noise on neighbours will require a range of assessments which can include road, rail and air traffic, industrial noise impacts and plant and activity noise (in particular emergency vehicles breakout and construction noise impacts on neighbours). CSPA has long experience of preparing these types of assessments as exemplified on our Environment and Noise page as well as our Noise and Nuisance page. Quietness, privacy and communication are critical issues in Health and Emergency projects requiring early attention to room acoustics, sound insulation and noise control. Various services that CSPA can provide are needed to address these issues including our Architectural and Building Acoustics and Test Risk Management services to help ensure that required sound insulation conditions are achieved. Site specific Planning Conditions as well as project and design targets will usually need to be met and compliance with these demonstrated before project completion. This may not only require application of Compliance and Monitoring services but also the benefits of a Test Risk Management strategy throughout design and construction. Our linked pages explain more about these two critical CSPA services.